One of the biggest appeals of the Aliens vs. Predator franchise is that to use the Xenomorphs, you don’t have to explain what they’ve been up to since their last appearance. There are millions (if not billions) of them spread out throughout the universe, and their motive is simple: they want to breed. They just happen to require the bodies of living creatures to do so. As a result, you can take the Xenomorphs and cross them over with other characters without requiring a lot of backstory. They’ve met Batman, Superman, Green Lantern Kyle Rayner, Judge Dredd, Witchblade, and even the Terminator (although, surprisingly, not Robocop, despite that franchise crossing over with The Terminator). 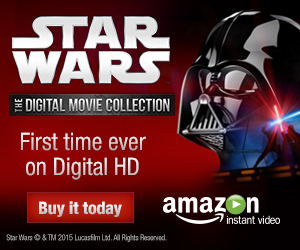 Because of the inter-company crossover nature of those stories, they aren’t canon. Few stories of that stripe can be, apart from JLA/Avengers. The Stormwatch: Final Orbit trade contains another exception: the infamous WildC.A.T.S./Aliens, which will unfortunately not be reprinted in the upcoming Stormwatch: Vol. 2. But publishing rights aren’t the only reason why it won’t be in that volume. As it turns out, the Stormwatch team doesn’t really appear in WildC.A.T.S./Aliens at all. Only a few living members factor into it; the majority of the Stormwatch cast are slaughtered before the WildC.A.T.S. even arrive on Stormwatch’s orbital headquarters. Warren Ellis famously used WildC.A.T.S./Aliens to change the entire Wildstorm status quo so that he could introduce The Authority. Under the aegis of Jackson King, the Weatherman, Stormwatch protected the Earth and beyond in a fairly standard superheroic manner. This kind of guardianship wouldn’t be conducive to the Authority’s antics, so they had to go; why not do it in the most gruesome and publicity-grabbing way possible? It helps that they got Chris Sprouse and Kevin Nowlan to draw the crossover. As much as I like Jim Lee, his slick style of art wouldn’t have worked for a mass-slaughtering horror story. As for the WildC.A.T.S. themselves, I know about them mostly from their appearances in the New 52 titles and -- just to show my age -- their short-lived animated series. Mind you, I can’t really name any of them off-hand apart from Grifter and Maul. The WildC.A.T.S. may be the only team with two warriors wearing their hair in high-off-the-head ponytails. Zealot and Warblade are sometimes indistinguishable due to the dark coloring; I’m happy that they identified Zealot in this book very quickly, because otherwise I would have pegged her as Glory. The team was going through rough times during this story’s publication, so there’s a lot of arguing, with ex-lovers Grifter and Zealot doing the bulk of the sniping. They also have a manager patterned after Justice League International’s Oberon, which I didn’t remember the team having on the cartoon. So if Stormwatch isn’t the focus of WildC.A.T.S./Aliens, then why is this a Stormwatch trade? Well, the trade includes issues #10 and 11 of Ellis’ tenure on the title, which take place before and after the crossover one-shot. Wisely, the trade was designed to sandwich the one-shot between these two issues, so that you can read them in the proper order. I decided to do a little test: could I understand what happened to Stormwatch by reading just those issues without WildC.A.T.S./Aliens? You can certainly do that, but the end result is anti-climactic. The Xenomorphs aren’t shown in the Stormwatch issues; when their asteroid ship appears in issue #10, it’s at the end, so there’s a cliffhanger about what will happen with the heroes. In issue #11, the Stormwatch members are already dead and buried, and we’re not told the details of how; the WildC.A.T.S. aren’t even shown! Going into this, I knew a little more about Stormwatch than I did about WildC.A.T.S., mostly because of The Authority and DC’s current Stormwatch ongoing. None of the killed-off members have made appearances in the New 52 as far as I can tell, since DC’s Stormwatch is essentially The Authority plus Jackson King and the Martian Manhunter. Honestly, reading these issues after reading The Authority really does feel like I’m taking a step backwards. The Stormwatch heroes are visually rather bland, and King’s struggles with funding just aren’t that interesting of a story. When the UN decommissions Stormwatch, it feels like what would have happened even if the Xenomorphs didn’t attack. At the very end of Stormwatch: Final Orbit, Jenny Sparks, Swift, and Jack Hawksmoor come out of hiding and brutally attack recurring villain Henry Bendix. This is the true start of The Authority, especially because the art is by Bryan Hitch and Paul Neary. Parts of both issues were drawn by Michael Ryan, and his art is a little less detailed but still high-quality, but the final pages were by Hitch and Neary specifically to flow right from Stormwatch into The Authority. There are many ways to clear out a comic’s status quo, from dismissing members in conversation (like in Avengers: Avengers World) to just rebooting the universe entirely (like in Justice League: Origin). Warren Ellis would have likely killed off most of Stormwatch anyway, so the fact that he was able to use the Xenomorphs to do so is just a bonus. The presence of the WildC.A.T.S. is intrusive, and if it had been Stormwatch fighting for their lives against such a powerful threat versus just dying off-panel, then I think this would have been a much better story. If you’re just a fan of Aliens, there’s not much here for you. That said, Ellis puts some good work into this crossover, aided by Sprouse and Hitch’s artwork. Since it might not be reprinted any time soon, if you’re a fan of The Authority, you can just pick up the one-shot if you can get it at your LCS. Alternately, since comiXology hosts most issues of WildC.A.T.S., there’s a possibility that WildC.A.T.S./Aliens might one day be put up there. Otherwise, Stormwatch: Final Orbit is a decent buy, cataloging the fall of early 1990s extreme comics and the rise of the more mature era of the late '90s. Ellis' run on Stormwatch is actually a lot better than his very short run on the Authority. I think Ellis didn't get enough time to really do his best work with "The Authority". Don't quote me with (heh) authority on this, but I get the feeling that a lot of his ideas for what would have happened in a longer run were migrated over into "Global Frequency" and "Planetary". 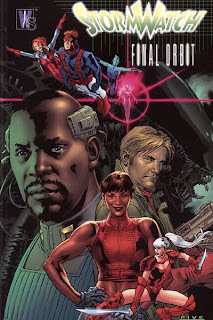 At the same time, there isn't a lot in "Final Orbit" that demonstrates Ellis' mastery of "Stormwatch", but I'm open to reading some of the earlier volumes. Ellis sits towards the center of the "modern British cynical comic book writer spectrum", with Grant Morrison as the optimistic end and Garth Ennis as the more pessimistic end. Millar is similar in tone to Ellis, but IMO, Ellis does his best work on team books, while Mark Millar is his best with solo heroes (like "Marvel Knights Spider-Man" and "Superman: Red Son"). This is the era that I really seriously became a bit more of a "smart" comic book fan. I had bought all of the wildc.a.t.s. and stormwatch prior to ellis's run and bought anything with an X on it, but when Ellis took over Stormwatch and Alan Moore took over Wildc.a.t.s. I suddenly realized that there was a huge difference in quality. Then I discovered Garth Ennis' Preacher and didn't look back.